Admittedly, it may sound boring and look peculiar. But over the last four months of playing, I’ve become an enthusiastic participant, devoted fan, and happily retired tennis player who now plays pickleball upwards of twice a week. I’m not the only one. Since first playing pickleball, I’ve seen the number of players from my own group triple from four to 12 on any given day. It’s gotten so competitive and crowded recently that our club of mostly thirty and forty something men regular convert one lengthwise basketball court into two widthwise pickleball courts. For the 20×44 foot boundaries, we use painters tape and play for a good three hours every Tuesday. To that end, many unused tennis courts are being converted to pickleball courts, much to the chagrin of purist tennis players. 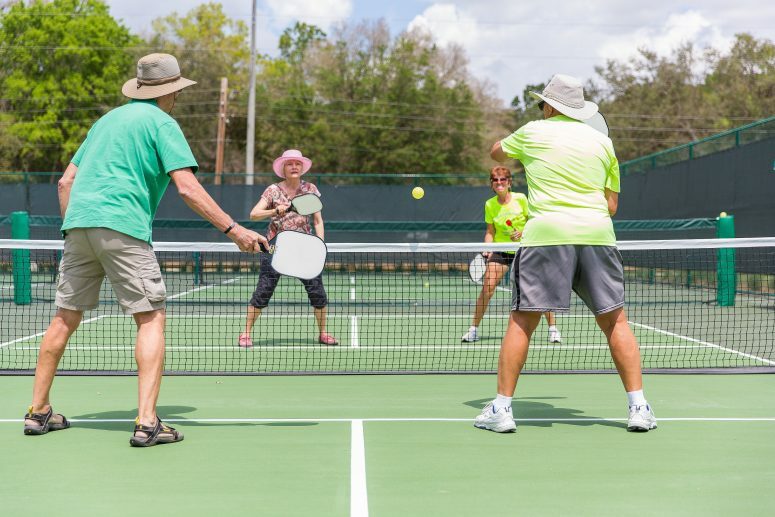 Growth of pickleball is especially strong in Florida, Arizona, California, Utah, and the Carolinas, Wathey says. About the only areas that haven’t caught the pickleball bug are in colder climates with a lack of indoor facilitates. Either way, the game is growing and I couldn’t be happier. For those interested in playing, I highly recommend this $160 portable net, these light wooden starter paddles, these graphite paddles for more committed players, and these balls for outdoor or these for indoor play.